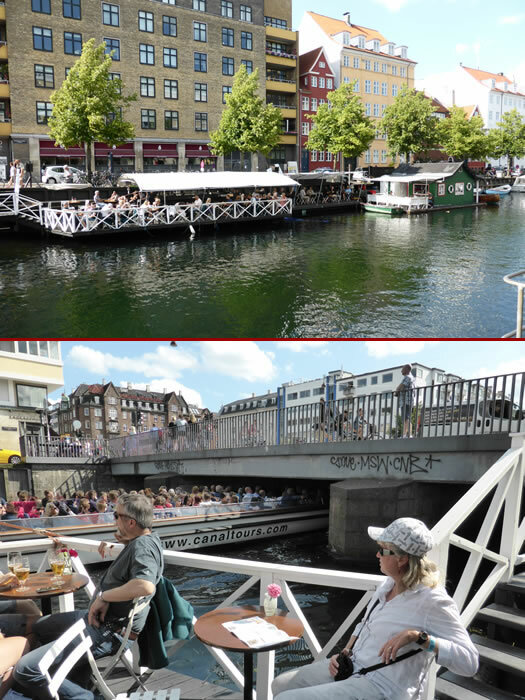 Time for a break on one of the Copenhagen canal restaurants (top photo). It was nice to relax and watch the tourists go by on the canal boats (bottom photo) They have to watch their heads!!! See our next Album 64 as we return to Sweden and continue towards Stockholm.